Home LATEST	Is The Scaffolding Coming Down? 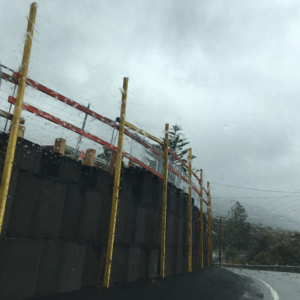 Wondering what’s happening with that new retaining wall in Austinmer? The large grey wall on Lawrence Hargrave Drive has been under construction for many months, with ‘scaffold’ and safety fencing still in place at the site. But it looks like it could soon be completed. The embankment is Council land that collapsed during the ‘East Coast Low’ of June 2016. 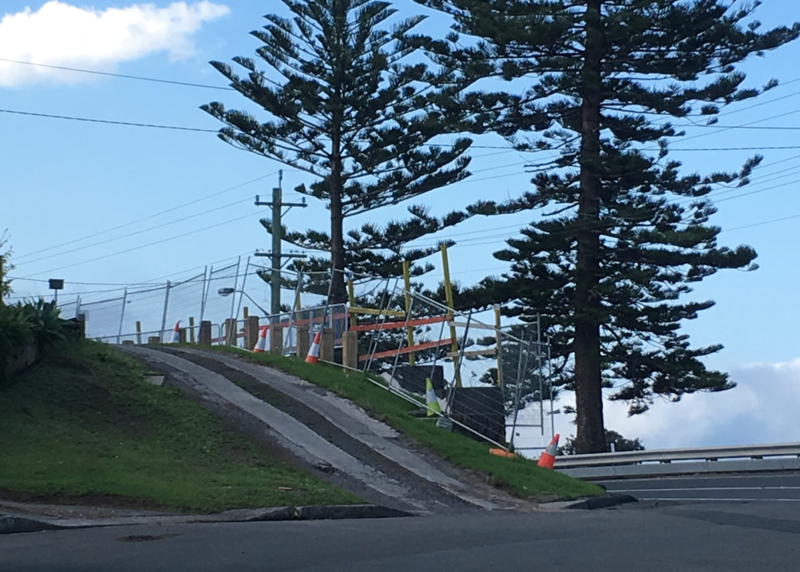 The Roads and Maritime Services provided funding to Wollongong Council to repair the site under the ‘Natural Disaster Funding Assistance Scheme’- but under the rules of this scheme, all works MUST be completed within two financial years. That means the work was funded only until June 30 this year. After that, it becomes the responsibility of Council. Wollongong City Council says their contractor has been repairing the embankment. “Council has worked closely with the Roads and Maritime Services to coordinate the repairs to the embankment due to its location on Lawrence Hargrave Drive,” says a council spokesperson. “Council has taken on neighbouring resident feedback in the design of the handrail and it’s currently being manufactured.